LIVE FREE! PLAY FREE! 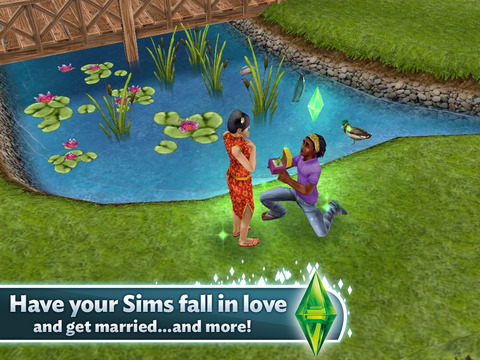 From the creators of The Sims™ 3 series of best-selling iPhone games, comes a Sims experience that you can play for FREE on iPhone and iPad! This app offers in-app purchases. You may disable in-app purchasing using your device settings. See support.apple.com/kb/ht4213 for more info. 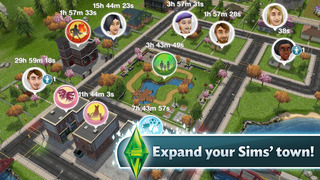 • Live with your Sims in real-time …and most of all, play for FREE! 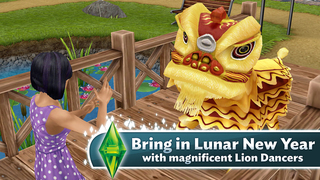 MORE SIM-ULATING POSSIBILITIES Will your Sims be friends – or enemies? Form relationships with a slap, a high-five (or some Woohoo!). Make your town bustle with pet stores, car dealerships, supermarkets and even a beach! 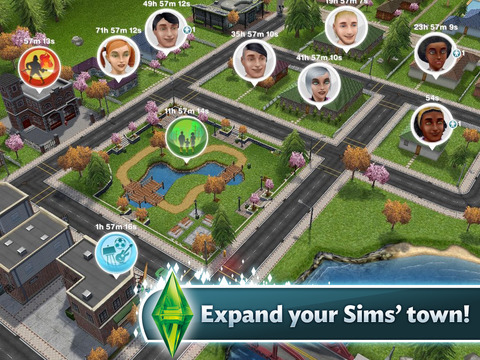 Expand your city as you get more Sims. 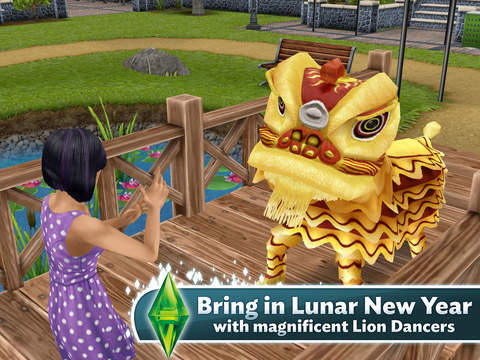 Be free, Sims! Be free! The opportunities are limitless! ________________________________________ NOTES: Terms of Service : ea.com/terms-of-service Game EULA: tos.ea.com/legalapp/mobileeula/us/en/gm/ Visit help.ea.com/ for assistance or inquiries. Shop til you drop with the grand opening of the Sunset Mall! Dress your Sim in this season’s must-have fashions with over 500 new clothes, shoes, and accessories. It’s your time to dress to impress! 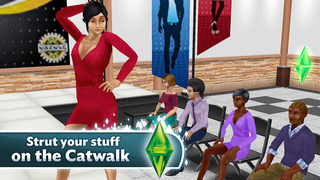 • Show off the latest trends on the Catwalk with the new Modelling Hobby. • Strike! Meet up with friends and try your hand in the Bowling Hobby. Knock down those pins to unlock the Juice Bar! • Kick into healthy habits with the new Juice Bar, and slurp up a tasty refreshing juice with you and your friends – master every move in the Bowling Hobby to unlock it! Be sure to LIKE us on Facebook for the latest news and offers.